AUS offers a wide range of underwater repairs keeping ships out of the dry-dock, in business and on time. 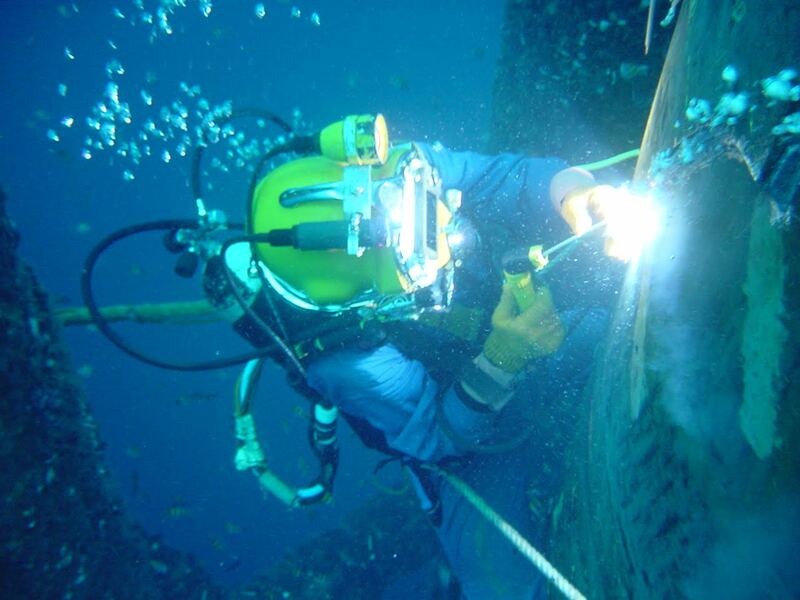 Our certificated divers use underwater welding to repair cracks or holes of a reasonable size. Both temporary and permanent repairs can be carried out using this method. Prior to this repair obviously a comprehensive inspection will assess the precise extent of the damage. In some cases the nature or extent of the damage demands for a “dry environment” to repair. This dry environment will be created by means of a cofferdam. The repair is then executed from the inside. This method can be used to install an insert plate. In both cases the weld seams can be subject to NDT ensure the quality of the repair. AUS has different types and sizes of cofferdams. In addition we have all the skills and equipment to provide a customized cofferdam within the available time frame.